When you want to play online poker, you should consider downloading and installing the poker software to your computer. Some poker sites offer flash play in the browser, but we don’t recommend it. Read this Download Poker-guide for complete information about downloading poker rooms online, and see our Top 3 Poker Rooms here at Classic Poker. There are plenty of poker rooms online to choose from. We’ve made a short list for you here, with our three top poker rooms at this moment in time. Download the safe and secure poker software at 888Poker for customized games and a user friendly interface. The innovative features give players the ultimate poker experience. Enjoy free tournaments and mobile games wherever you go with 888Poker. Download 888Poker now and get started with 7 free tournament tickets and £20 for free before depositing to your new account. 888 also offers you a nice welcoming deposit bonus up to $400, where your initial deposit is matched with a bonus of the same amount. Read more about the bonus and other 888 offers by visiting 888 below. The innovative PokerStars game client is free to download. A comprehensive video of exactly how to download the the safe software is available on the landing page at PokerStars. Simply click on the start tab to see exactly how to start your download. PokerStars offers a superb match deposit bonus up to $600 to welcome you to the card room. Earn frequent player points and enter valuable tournaments for free. Read more about how to get the bonus and the conditions attached by going to PokerStars. Bet365 has launched a new easy layout poker software with plenty of innovative features. Sleek imagery and improved poker tables are waiting for you at Bet365 Poker. The improved dashboard makes navigating the poker room easy and pleasurable. Download Poker Software or Play from Your Browser? Online poker sites typically offer their poker software for download to new customers’ computers or laptops. Alternatively they may offer poker play without download where the customers use their own browsers. There are lots of important benefits that come from downloading the poker software of your chosen poker room. Overall financial security is greatly improved when using a site’s trusted software. Downloading trusted software ensures protection of personal data. Browser poker is prone to regular crashes. Downloaded poker software almost never crashes. Enjoy customizable features in your card room not available to browser users. Select game play features: Automuck all winning hands. Highlight whose turn to act. Highlight stakes. Third party tools such as hand history trackers are compatible with reputable poker software. Poker statistics tracking devices can only be used with downloaded software. Downloaded poker software gives players access to promotions and special offers. Downloaded poker software allows players to benefit from valuable permanent reward programs. Playing poker on downloaded software is smooth and user friendly. Players using browsers have limited access to cash games and tournaments. Installing poker software to your desk top is straightforward so don’t choose the browser option from fear of the download process. You must be 18 years old to download the software. Playing poker is a form of gambling. Players are guided by the poker room throughout the download process which lasts a few minutes only. It is in the interests of the poker room to run the simplest possible download process to attract new customers. Choose the poker room you would like to join and click on the download software option. Once you have commenced installation you will see prompts on how to proceed on your computer screen. Simply follow the prompts. We recommend that you choose the option offering a shortcut on your Desktop for your own convenience. You will be asked to choose the language you want to play in and save the location that you want. Once you have read the standard terms and conditions, click the box that you have read them. The installation will be completed after these simple steps. The poker software will open on completion of download. You will be asked to register as a new user. You will be asked to log in with a poker user name and password. Your poker user name can’t be changed easily so choose well before you begin the download! You are then asked to open your poker account and deposit a minimum sum of money of around $20. At this point you can take advantage of the welcome bonus offer offered by each of our chosen poker rooms. Decide on how much money you want to deposit initially in order to attract your start up bonus. Choose your deposit method. You will be given a long list of deposit options to choose from. Don’t use somebody else’s credit/debit card. The payment option must be registered to your own name. Reflect carefully on how much poker you plan to play each day/week and at what stakes. Be realistic as to whether you will play poker to meet the bonus terms and conditions related to your first deposit. Choosing the maximum bonus possible requires a lot of poker play through tournaments/cash games with plenty of rake contributed to the pot and tournament buy in fees. Choose it if you can do it. Better opt for a smaller bonus and play to get it in the time period given by the card room. Our recommended poker rooms all have superb dedicated MOBILE poker apps available for FREE download to your mobile devices. Players can deposit money on the move safely enjoying full flexibility. To get the mobile apps you need to register an account with one of the poker rooms, then choose the app compatible with your device in the Apple app store or directly on the website of the poker room. 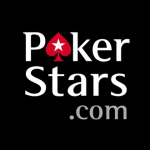 Go to Pokerstars and click on Mobile. Get your Android app from Pokerstars. Get iOS app from Apple app store. 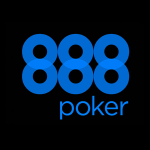 Visit 888 and register an account and download the app compatible for your mobile device from the apple app store or at 888Poker. 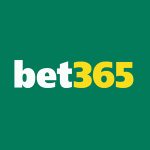 Go to Bet365 and register an account and select the mobile app compatible with your device at the Apple app store or at Bet365 Poker. The mobile apps have been created for download to iOS or Android powered devices. You can download to a phone or tablet in total security and play poker on the move. The apps have been optimized poker gaming for use on small mobile devices and for touch screen controls. Fast fold poker games are superb for mobile poker game play and are available at all three recommended poker rooms. Mobile poker apps allow players to play on one table at a time or at best a couple of tables so choose carefully when you select your games and tournaments. Playing poker from a mobile device is the fastest growing trend in the world of online poker. Join the millions of players enjoying the flexibility of and security of mobile poker play at our recommended poker rooms.